Horizon’s Publishing is an independent, start-to-finish marketing communications services provider based in Jupiter, Florida. Throughout our 25-year history Horizon’s has justified its unequivocal reputation for exceptional performance, worth and integrity. 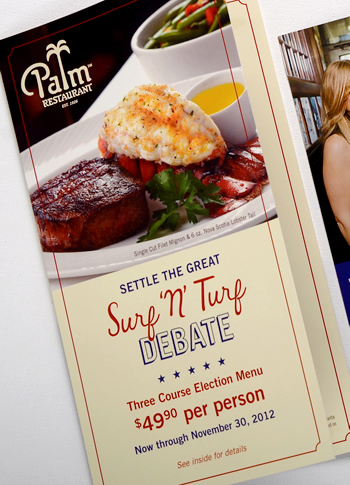 From our first free-standing insert for a nationally known pizza restaurant, to the fully integrated, multi-collateral, cross-media national campaigns we engineer for our current clients, Horizons Publishing has always offered unparalleled access to state-of-the-art equipment, sophisticated new technologies, superb creative talent, and the cutting-edge marketing strategies that power tomorrow’s success today. Companies large and small, retail, commercial and industrial, turn to Horizon’s Publishing time and again as their valued partner. Why? Because they know they can count on us to establish, oversee and execute any or all of their strategic marketing channels, media placements, creative designs, commercial printing jobs, and fulfillment challenges. By looking to Horizon’s, our clients know they’re ensuring their marketing project will have the best chance to achieve results that meet—even exceed—every hoped-for objective.